Join us for an evening of fantastic music, food, entertainment, and auction items. This whole event supports the Newport Band Program, with all proceeds going toward our Band Students. 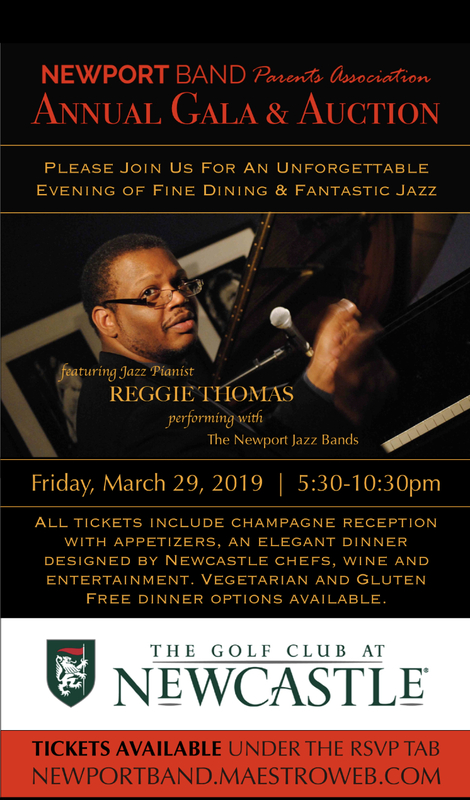 Hear our amazing guest artist, Reggie Thomas, and our award-winning Jazz Bands, as well as guest presentations from Newport’s Drum Line and other fun surprises!